New York continues its dominance over the 1000m distance, as Matthew Payamps (Saint Anthony's) moves to NY #3 All-Time in the event. Payamps won the VA Showcase Invitational Section of the event with a new personal best of 2:25.09, almost 1-second over second place. The mark also moves him to US #11 All-Time in the event, as well as Catholic #3. New York is quite storied in the event. For nearly 30 years, the top 3 All-Time marks came from a single race at Yale in 1983, where NY swept the podium in the event. Back in 2012, Zavon Watkins (Liverpool) ran 2:22.9 for 1000m, before learning he had been DQ'ed for stepping over the line. It would have broken the State Record by 2-seconds. 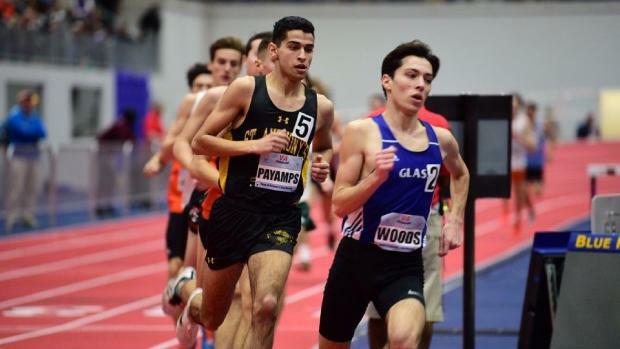 The "Big 3" dominance over the 1000m distance was finally broken up by Liam Purdy (North Rockland) in 2014, and then again by James Asselmeyer (Arlington) in 2015. Miles Irish (Burnt Hills) still holds the State Record at 2:24.1h.